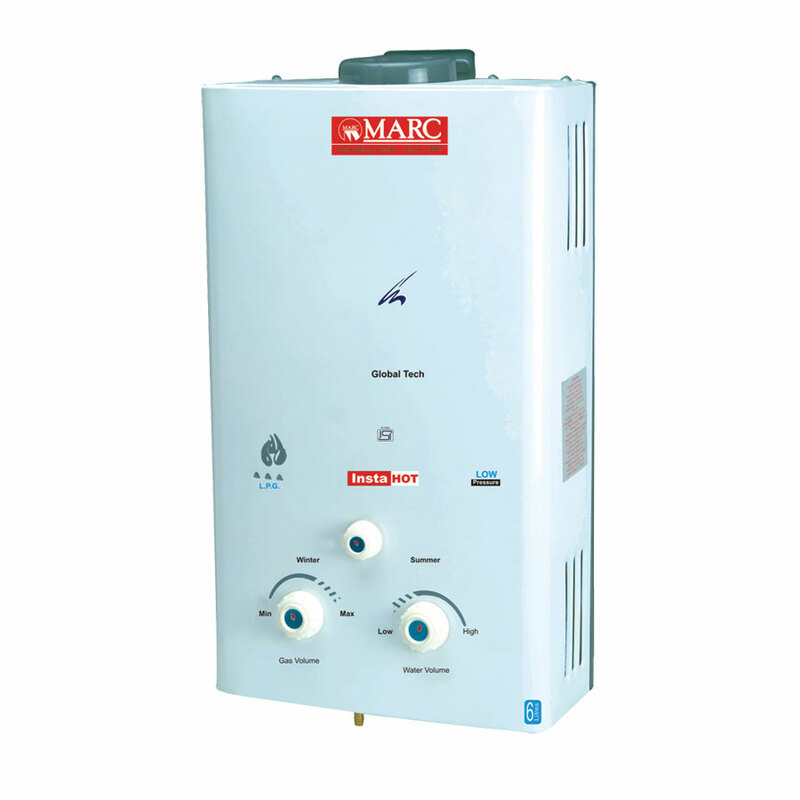 Marc Gas Geyser Water Heaters- Want something that not only saves energy but provides efficient hot water capacities along with safety for your home and family? 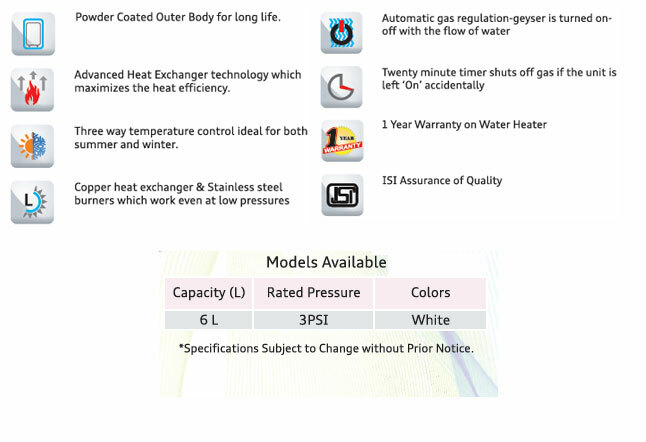 Then this gas geyser water heater is a must have option for you. The product, which features a gas geyser can be installed easily and comes with ISI marked to ensure that it easily tolerates effects of overheating. It doesnt take much time to heat water and therefore, it provides seamless supply of hot water in all seasons. Easy to use and maintain.